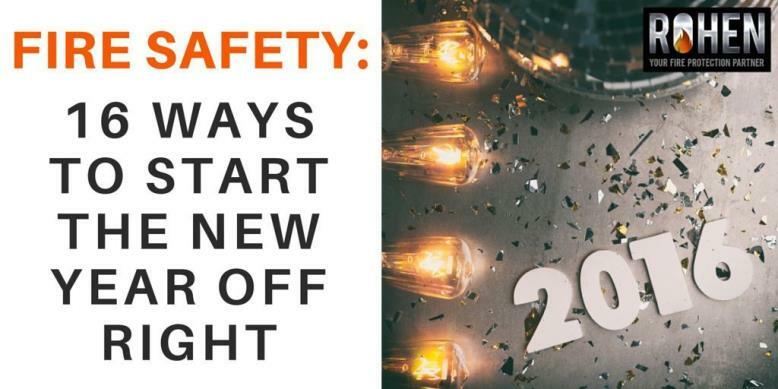 Here is our list of ideas to get you started on the road to optimum fire safety in 2016. 1. Leave holiday fire risks in 2015. It’s time to toss your Christmas tree, if it’s real. Take down your lights. 37% of Christmas tree fires occur in January (NFPA). 2. Check your carbon monoxide alarm. Here in the Greater Toronto Area (and all of Ontario), carbon monoxide alarm requirements are now in effect. Are yours present as required? Are batteries installed and working? Do you have tenants for whom you are required to install and maintain CO alarms? 3. Check your smoke detectors and fire alarms. Are all detectors and alarms present as required for your building? Are batteries installed and working? Do you have tenants for whom you are required to install and maintain smoke detectors and / or fire alarms? Learn about fire alarm maintenance here. 4. Automate your fire safety reminders. Calendar reminders for quarterly, monthly, and other recurring fire safety maintenance tasks, including alarm monitoring and fire sprinkler maintenance and testing. Learn more about some of the regularly-scheduled recurring maintenance items for fire sprinklers here, and get our smoke alarm maintenance template here. 5. Review your record-keeping system for fire safety maintenance. Does it need updating or additional backup? 6. Check the dates on your fire extinguishers. Are they expired? Will they expire sometime in the coming year? Are they rated appropriately for the task they’d likely be needed for, based on their placement? Learn more about fire extinguisher selection and maintenance here. 7. Check the list of fire safety recalls. Verify none of your fire safety equipment is impacted. There are an alarming number of recalls and counterfeit notices issued for fire safety equipment. We’ve written about this important issue here and here. Check yours now before you forget. Are there any new fire safety bulletins for your household electronics or other property? You can find information on recalls and safety alerts in Canada here. The Electrical Safety Authority maintains their own recall notice list here. 9. Verify your escape routes. What are your two nearest escape routes? Are any of your windows too hard to open, are any of your exit routes or doorways blocked? When did you last do a practice walk through? Learn more about fire escape planning from the National Fire Protection Association (NFPA). 10. Review recent and upcoming updates to code. Have there been changes to building code and/or fire safety that impact your home, rental property or place of business? In this post, we cover some of the recent updates to fire safety code in Greater Toronto. 11. Do an electricity status check. What is the condition of your electrical outlets and wired connections? What are you leaving plugged in and where are your fire risks? Do you need to make updates with a licensed electrical contractor? A great place to find more information about electrical safety is the Electrical Safety Foundation International (ESFI). In previous posts, we’ve featured ESFI’s electrical fire safety infographic, along with this one on electrical fire prevention from Leviton. 12. Have your chimney or chimneys serviced as needed. The Chimney Safety Association of America (CSIA) recommends annual inspection by a CSIA-certified Chimney Sweep of your solid fuel venting system and cleaning, repair and other maintenance as needed. 13. Clean the lint filter on your drier or driers. Dryers and washing machines were involved in 1 out of 22 reported home structure fires in the U.S. between 2006 and 2010 (NFPA). Get the NFPA’s fact sheet and safety tips here. 14. Review your safety plan. Have you knocked out a wall, made structural changes, or altered the usage of a room? If yes, your fire safety plan may require updating. Are your family members (or tenants, or employees) aware of your plan? Schedule any safety trainings that may be needed. 15. Assess your professional fire safety provider. Are your needs being met and is compliance being served through your current provider? Evaluate and confirm you are still satisfied with your contractor. Get some tips on what to look for here. 16. Evaluate new potential risks. 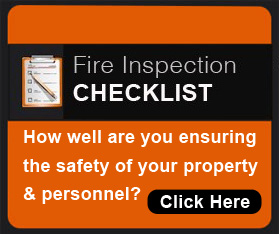 Do a walk through of your property or properties to identify any new potential fire safety risks. If you are unsure what to look for, do this with the help of a qualified fire safety professional. Fire safety tends to hang on the lower end of people’s to-do lists and gets pushed to the back burner. Don’t let complacency happen to you. Get started on these 15 items right now, and check fire safety off your list for the month. There is no better time than the present to set yourself up for a safe and compliant 2016. Stay tuned to the Burning Issues Blog in 2016 for the latest on fire safety in the Greater Toronto Area and beyond.